This funding category has now closed. Due to the overwhelming response to this funding round, we now aim to communicate the outcomes by the end of May. If your project was commencing in May, you should have received a phone call from us already letting you know about the change of dates. If you have any questions, please do not hesitate to contact us on arts.funding@create.nsw.gov.au or 02 8289 6520. The NSW Government through Create NSW and the Office of Responsible Gambling is committing $1million to support the presentation of contemporary live music in NSW. 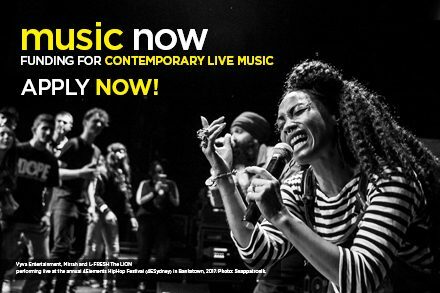 The Music Now Contemporary Live Music Funding program will invest in a program of activities, events or performances that support NSW musicians to present new work and increase participation in live music events across the state. Increase the sustainability of the contemporary music sector. Applications open: 31 January 2019. Applications close: 14 March 2019. Projects must start after 1 May 2019 and be completed by 31 December 2020. Funding of up to $40,000 is available for a one-off, series or an annual program of live music events held in NSW. a program of club nights for emerging hip hop/experimental/electronic musicians. The information on this page is a guide only. Before you apply, please read the Music Now funding program guidelines for more comprehensive information, including special eligibility requirements, assessment criteria and support material for this funding category. Online applications will open on 31 January 2019. Original musical works (including works that involve sampling), or reinterpretations of other composers’ work. A musical performance by an artist or artists that are engaging instruments and/or singing in front of an audience. The performance can be by a single musician, a band, group or choral or instrumental ensemble. This includes but is not limited to jazz, rock, blues, electronic, experimental, orchestral, ensemble, acoustic, dance, hip hop, acapella, and folk. If you have a contemporary live music activity which you believe fits this funding program but is not listed in the above definitions, please contact Create NSW to discuss.